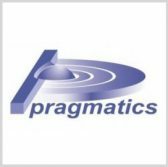 TYSONS CORNER, VA, March 21, 2019 — Pragmatics hired Thomas Payne, formerly senior director of operations at the U.S. arm of BAE Systems, to serve as vice president for the former’s defense and intelligence solutions business, GovCon Wire reported March 11. The company said Payne will take the VP role as Mike Yocom is set to retire, and will lead efforts toward the expansion of the Pragmatics portfolio for intelligence and defense customers. “[Payne’s] focus, drive, innovative thinking and commitment will further strengthen Pragmatics’ leadership team and the company’s ability to ensure excellence in supporting our clients’ missions and expanding our client base,” said Emile Trombetti, president of Pragmatics.